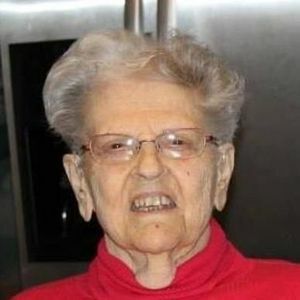 Irma A. Boucher, 94, passed away peacefully at the Courville at Manchester on March 14, 2019. Irma was born in Manchester on October 7, 1924, daughter of the late Oscar and Claudia (Vaillancourt) Pilotte. She was a lifelong resident of Manchester and worked in the mills until her marriage to her husband, Roland Boucher, in 1948. Irma was a card shark who loved winning card games against her family and friends. She also enjoyed doing crossword puzzles, watching game shows, and was a fan of both the Red Sox and Patriots. A devoted wife, mother and grandmother, family was paramount in Irma's life. She loved spending time with her family and was a beloved mémère to her grandchildren. She will be fondly remembered by all who knew and loved her. Irma leaves behind three sons, Reginald Boucher and his wife Linda of Bradenton, FL. Raymond Boucher and Leo Boucher, both of Manchester; two daughters, Claire Smith and her husband Dana of Cary, NC, and Annette McLaughlin and her husband Michael of Auburn; twelve grandchildren and eleven great grandchildren; three sisters, Rita Bernier, Pauline Eafrati and her husband Louie, and Yvette Searles, all of Manchester; her brother, Richard Pilotte and his wife Lorraine of Manchester; as well as many nieces, nephews and extended family members. In addition to her parents, Irma was predeceased by her husband of 63 years, Roland Boucher; her grandson, Eric Boucher; and many siblings. Calling hours will be at Phaneuf Funeral Homes and Crematorium, 243 Hanover Street, Manchester on Tuesday, March 19th from 6-8pm. Funeral services will take place in the funeral home chapel on Wednesday, March 20th at 10:00am. Committal service will follow at Mt. Calvary Cemetery's mausoleum. In lieu of flowers, donations may be made to Concord Regional VNA Hospice House, 30 Pillsbury Street, Concord, NH 03301. Add your thoughts, prayers or a condolence to Irma's guestbook.